If you try to touch Adrian Beltre’s head, he’ll flip out. If you try to douse him in one or more jugs of celebratory post-game beverage, he’ll mount up, grab weapons, and ward you off with them. 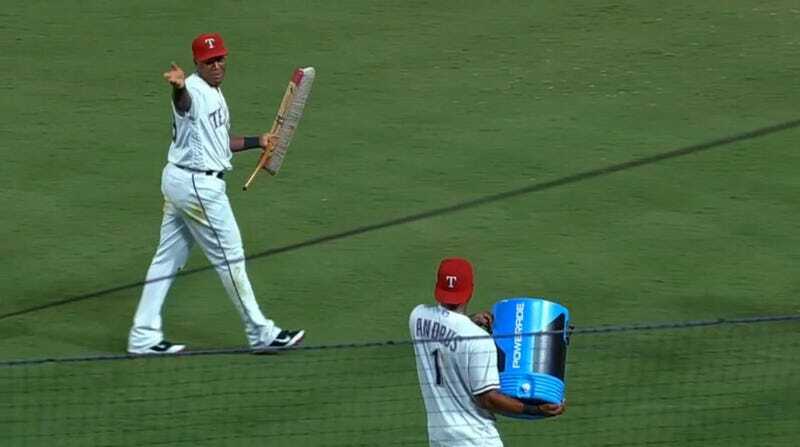 Beltre’s worries were legit, beverage baths can easily go awry.